Lawyer and human rights activist, Festus Keyamo, has reacted to the Lagos state police command's ban on the February 6th protest in Lagos which is supported by singer, 2face Idibia. Commissioner for Police, Fatai Owoseni, had placed a ban on the planned protest, stating that intelligence gathering have suggested that some thugs plan to hijack the protest. 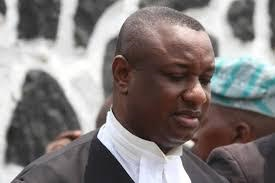 Speaking exclusively to LIB today, Keyamo explained that it is the right of aggrieved citizens to hold protests and that the police cannot ban such by claiming violence because one cannot know if a protest will be violent until it’s being carried out. He said a permit from the police for the protest does not in anyway guarantee a protest to be peaceful.